Shopping for a new Land Rover Range Rover Evoque? The new Range Rover Evoque Landmark Edition presents a surprising value for its looks and add-ons, relatively speaking. The 2018 Land Rover Range Rover Evoque compact luxury crossover trends like Twitter beef, but the SUV has lasted much longer. The sharp, small, fashionable off-roader gets a pair of new powerplants this year, a special edition trim, and an Autobiography variant that can push the Evoque’s final price past $70,000—we live in exciting times, people. It also loses a slow-selling three-door version that was a rarer sight than a new phone booth. 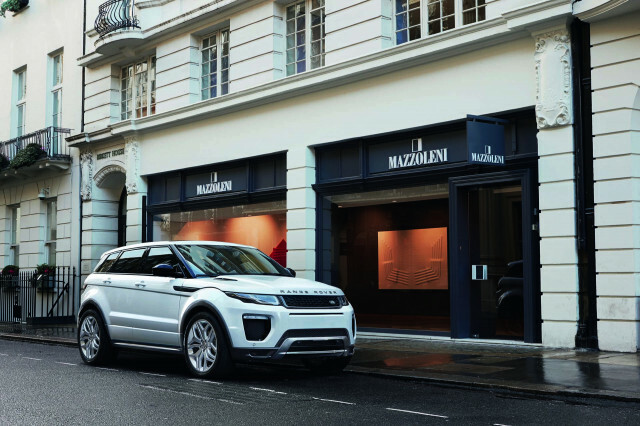 The Range Rover Evoque trades on its stylish and contemporary sheet metal first and foremost. It boasts some common elements with the rest of the Range Rover lineup including the familiar dial cluster, albeit in a smaller package. Inside, the Evoque offers a cool cabin with metallic accents, or a warmer version with wood tones, and neither feel spartan. Higher trims get softer leather hides and more creature comforts, but for $42,795 to start, the base trim wants for little. 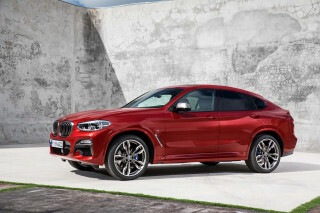 This year, parent-company Jaguar Land Rover has swapped out the old turbo-4 sourced from Ford in favor of a corporate 2.0-liter turbo-4 that makes 237 horsepower or 286 hp, depending on specification. We haven’t driven either version, but based on its similar power output to the outgoing model (240 hp in the old engine) we can confidently predict that it’ll likely be more of the same behind the wheel. Regardless of power specification, the Range Rover Evoque is fitted with a smooth-shifting 9-speed automatic and all-wheel drive. The tiny Evoque is still wildly more capable than most could imagine, but its composed road manners and easy ride speak more to its likely urban mission. The Evoque is comfortable for up to four, but front-seat riders get the best seats. They’re power adjustable on base models—all the way up to 14 directions on Autobiography versions with in-seat massagers—and adults in the rear seats will likely ask to move the fronts up. Way up. Behind the second row, there’s 20 cubic feet of cargo room that expands to 51 cubes with the seats down. Starting in base SE, the Evoque gets richer in SE Premium, Landmark Edition, HSE, HSE Dynamic, and Autobiography trim levels. Base versions get leather upholstery, navigation, and an 8.0-inch touchscreen for infotainment. 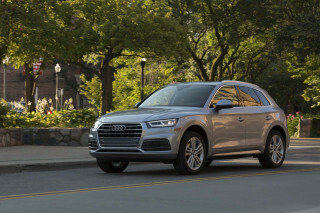 At the top, Autobiography models add a panoramic moonroof, 10-inch infotainment, premium audio, in-seat massagers, and a surround-view camera system. Fully loaded, the Evoque Autobiography temps $73,000, which to some may seem laughable for a small crossover. The convertible skips the Autobiography trim level perhaps because a convertible, three-row crossover is already hilarious. The 2018 Range Rover Evoque is a style icon for good reason. The Range Rover Evoque has been an icon since it was launched in 2012. It’s a fashionable Range Rover and one that helped set the table for other SUVs to come later. The Evoque marries Range Rover’s SUV style up front with a level of grace and care in the sides and rear that would be difficult to pull off for anyone. There’s a rugged sensibility in its approach and short overhangs, but the wedge-like shape, swollen fenders, and sharp corners make its curb appeal shine beyond its trail appeal. 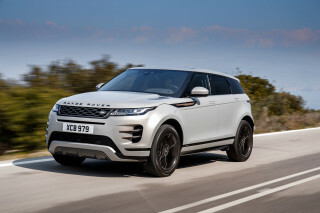 This year’s Range Rover Evoque lineup includes a new Landmark Edition that adds exterior flourishes such as a gray roof and badging that ride atop 19-inch gray wheels with black leather inside. Within the Evoque’s five doors (or three if you pick the convertible) the interior is swank, albeit fairly simple. Many of Range Rover’s signature features are present, including the round gauges and binnacle, albeit scaled for the Evoque’s small size. Cool metallic or warm wood changes the interior temperature, and Dynamic trims add flourishes of color inside. New engines highlight the changes for the 2018 Range Rover Evoque, but it’s the off-roadability that has us interested. The news this year for the 2018 Range Rover Evoque is a heart transplant. Parent-company Jaguar Land Rover has replaced last year’s Ford-sourced turbo-4 with a new, corporate turbo-4 with two different outputs. Most Evoques will be powered by a 2.0-liter turbo-4 that makes 237 horsepower and 251 pound-feet of torque mated to a 9-speed automatic transmission. 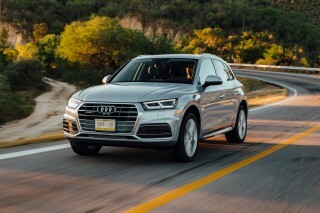 All-wheel drive is standard on all models. The new engine replaces an outgoing mill that made 240 hp, so we’d mostly consider the swap a wash. That said, we haven’t yet driven the new turbo-4 in the Range Rover Evoque (but we’ve driven it in multiple other applications) and we’ll update this space if our opinion dramatically changes. Optional on HSE Dynamic and Autobiography trim levels for the five-door is an uprated version of the turbo-4 that makes 286 hp and 295 lb-ft. It’s responsible for propelling the Evoque up to 60 mph in 6.0 seconds, according to the automaker. 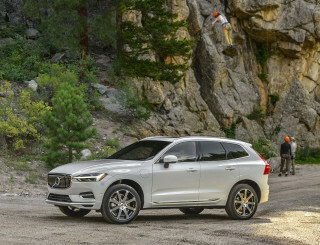 It’s a $3,000 option for those top models, a pricey proposition for a crossover that didn’t feel underpowered to begin with. We haven’t yet driven one of the new, higher-powered models and will report back once we do. On all models is a standard 9-speed automatic that competently moves the Evoque down the road with minimal fuss. It doesn’t have the same hesitation as similar automatics found in other models, and it’s generally unfussy in most situations. Range Rover’s all-wheel-drive system gets credit for turning what would otherwise be a fashionable accessory into something that’s better than average. Land Rover’s Terrain Response system dials in appropriate throttle and transmission behavior for snow, sand, and muddy conditions, while the optional All-Terrain Progress Control system can keep the vehicle at a crawl over more dire terrain. We accept that most Range Rover Evoque buyers may not find themselves fording more than two feet of water, but it’s nice to know you can. On the road, the Evoque acquits itself well with decent behavior and plenty of low-end grunt for stop-and-go detail. The basic suspension is compliant enough, although we’d opt for the adaptive dampers that quell body motions and road unpleasantries better. The 2018 Range Rover Evoque is like any good dinner reservation: best for two. The 2018 Range Rover Evoque is the stylish sibling compared to the mechanically related Land Rover Discovery Sport. 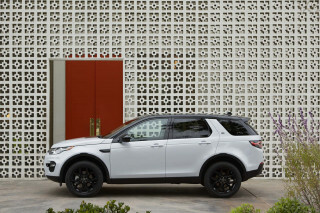 The Discovery Sport is more versatile and usable for a family. If it’s valet lots you’re searching for—and the dinner reservations were made for two—the Evoque is just your speed. All trim levels of the Evoque include power adjustable front seats that are comfortable, although top trims get softer leather and more adjustability. Front seat riders won’t have a problem fitting, but the available panoramic moonroof (standard on Landmark Edition and higher) cuts into available head room. Rear seat passengers won’t be happy for long trips. The outboard positions in the rear bench are scalloped enough to accommodate most bottoms, although leg room is a roll of the dice. 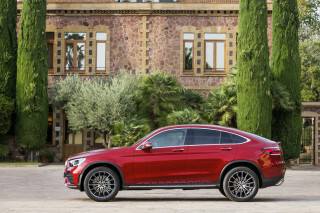 Long-legged types or passengers nearing 6-feet tall will be cramped for space in the rear, any taller and we’d suggest better Rochambeau skills to secure the front seat next time. In convertible models, accessing the second row is tricky when the top is up—assuming you’re unlucky enough to have to sit back there. Back seat space is even more cramped in those models, and we’d suggest skipping the convertible altogether if your plans regularly involve more than one passenger. With the seats up, the Evoque holds 20 cubic feet of cargo. With the rear seat folded that space increases to an impressive 51 cubic feet. The 2018 Land Rover Range Rover Evoque lacks a complete set of crash-test scores. Neither federal nor independent testers have rated the Land Rover Range Rover Evoque for crashworthiness. Aside from official data, the 2018 Range Rover Evoque is equipped with a standard complement of airbags, including rear side curtain airbags. Several active safety features are included in the Evoque, including forward collision warning with automatic emergency braking and parking sensors. Blind-spot monitors and automatic high beams are options. Outward vision in the Evoque is fairly good forward and from the side, but the rear view is limited due to the crossover’s shape and roof. The Evoque’s standard rearview camera helps, but we’d suggest the optional surround-view camera system. All in, the 2018 Land Rover Range Rover can crest $70,000. Did you expect any different? Three is the magic number for the 2018 Land Rover Range Rover Evoque—just as long as you’re not talking about a three-door crossover anymore. 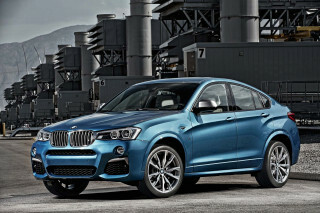 This year’s luxury compact crossover adds one new optional powertrain, one more trim, and one new special edition. The SE Premium trim level adds to base models a motion-activated tailgate, interior accent lighting, and memory seats. The new Landmark Edition heaps on unique 19-inch wheels, a contrasting roof color, interior leather upholstery, and unique exterior features alongside special edition colors highlight the new edition. Its value as an appearance package that adds $2,500 to the bottom line is relatively good, at least among the Land Rover universe where it’s all very expensive anyway. The HSE grade is where things become decadent, albeit for over $51,000 to start. Oxford leather hides wrap around heated front seats and a panoramic sunroof adds plenty of natural light inside. An uprated 10-inch touchscreen controls an upgraded Meridian audio system. Automatic high beams and blind-spot monitors are standard on HSE versions. The HSE Dynamic trim level adds a sportier “Dynamic” mode, a better leather-wrapped steering wheel, a rear spoiler, and bright aluminum kickplates. Land Rover’s uprated turbo-4 with more power is available at this trim level for a $3,000 premium on top of the $55,295 asking price—or roughly $60 per additional horsepower. Autobiography editions are the new kings of Evoque luxury, for an eyewatering $63,595 entry price. For that surprisingly large pile of cash, the Evoque offers standard 20-inch wheels, Windsor leather hides, heated and cooled massaging front seats, an upgraded Meridian audio system, a surround-view camera system, heated steering wheel, and a heated windshield. A new engine for the 2018 Range Rover Evoque helps mileage—but not by much. The news for the 2018 Land Rover Range Rover Evoque is a new powertrain that improves power—but what about mileage? The EPA rates the higher-output tune for HSE Dynamic and Autobiography versions of the Evoque at 21 mpg city, 29 highway, 24 combined, which is the same as last year. Convertibles are rated identically. 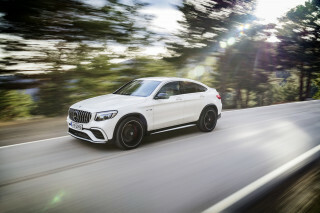 Moving the relatively heavy, small crossover is no easy feat, but the 9-speed automatic surely helps. 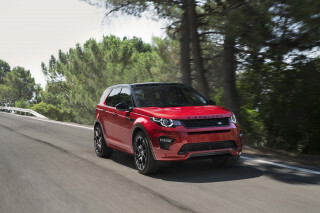 The tall overdrive gear helps make the most of highway slogs, and the all-wheel-drive system that mostly disconnects the rear axle when it isn’t needed saves the Evoque from what ails its much bigger Land Rover brethren.